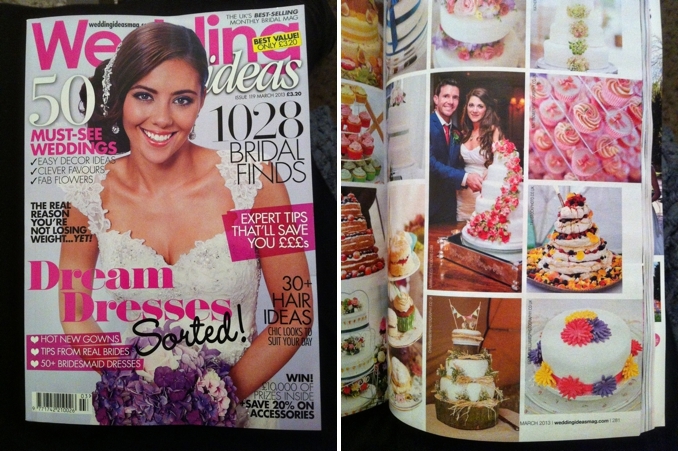 We are so excited to tell everyone that we have a picture in this month's Wedding Ideas Magazine! 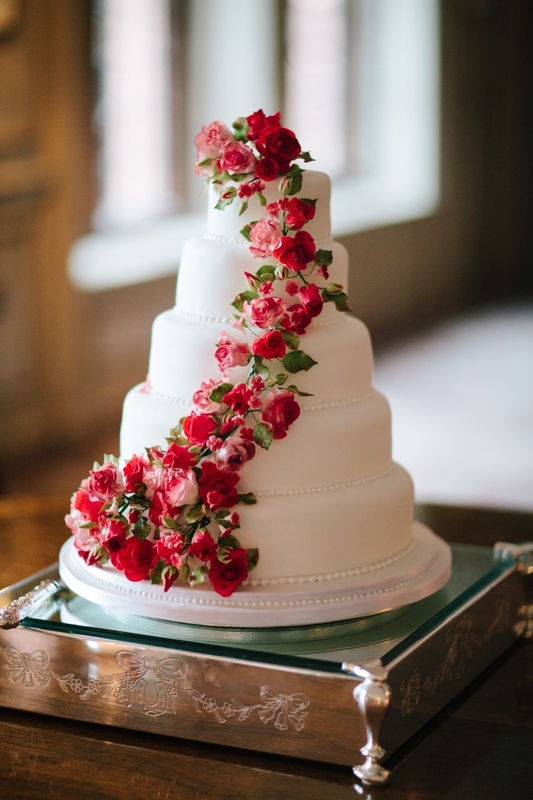 The adorable Sara and Jon can be spotted in a story featuring gorgeous wedding cakes, and theirs was definitely stunning! I love how their picture jumps right off the page because they are the only people! 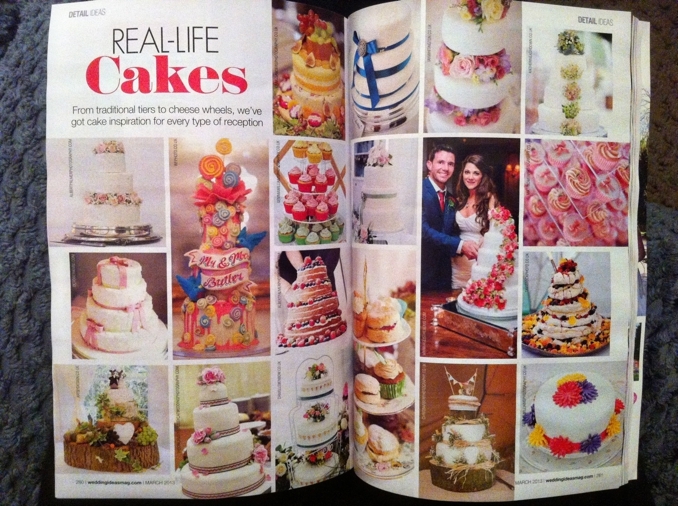 Here is a look at the layout, and a picture of their cake! A huge thanks to Alice at Wedding Ideas Magazine, and stay tuned for Sara and Jon's full wedding feature later this year! My god, this photo is amazing. I guess there will merely be anyone who won't want this kind of cake in her/his wedding. Thanks for sharing this post.